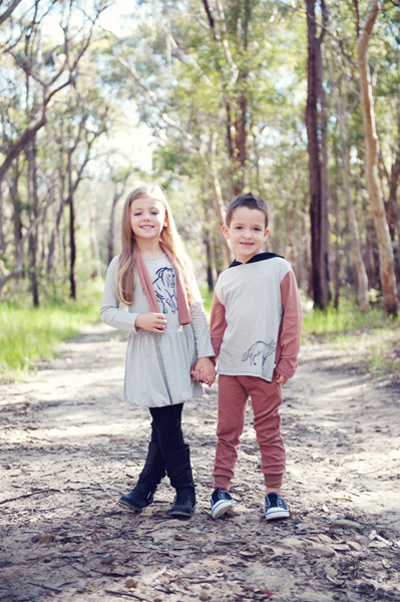 FK chats to Liane of friendly & fashionable kids organic clothing label, Master & Miss. Tell us a bit about Master & Miss and what products we can expect to discover? 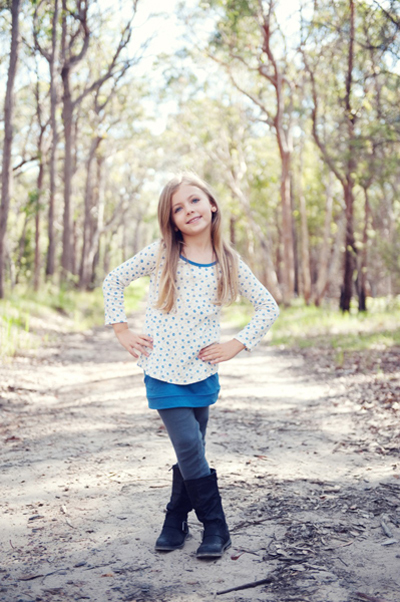 I created Master and Miss to fill a gap I saw in the market for affordable but stylish, organic kids clothing. 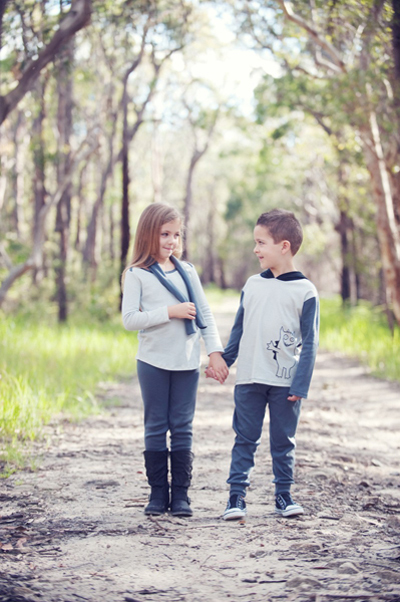 Designed and made in Australia, I create my range using only 100% organic fabric. I launched the Master and Miss online store in February 2012 and since then we’ve been featured in a number of children’s fashion magazines. 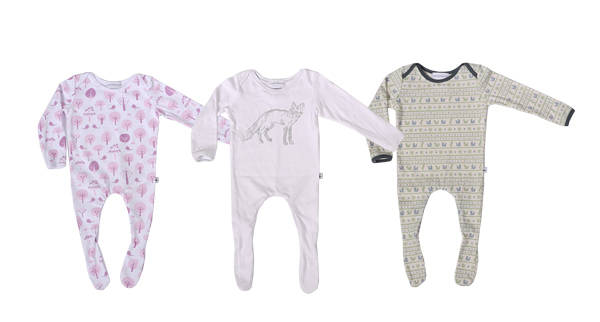 Catering for newborns to size 6, this year’s winter collection saw the range extend up to size 10. I like each collection to carry a particular theme and this winter it was the fox. 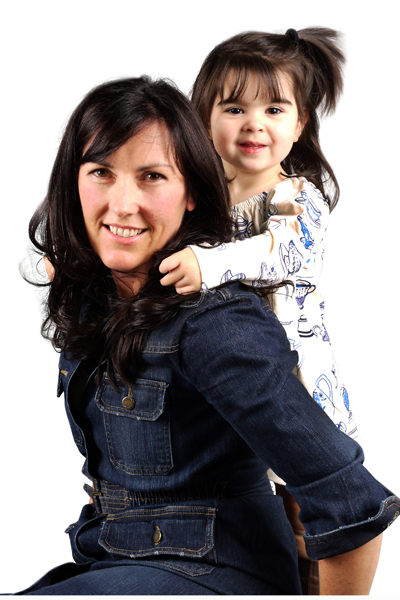 A variation on this theme carries itself throughout the entire range from infants to older kids. And while Master and Miss is all about your kids looking and feeling good, the pieces don’t forgo practicality and functionality. Every piece can be mixed and matched for trans-seasonal wear and all have a strong emphasis on playtime comfort. I love fabric!! I could literally spend hours looking at fabric, ribbons, trims and other art and craft goodies. I also love wallpaper and anything to do with interior design. I grew up listening to the sound of my mother’s sewing machine and I can still remember the feel of her scissors against my skin and the sound they would make as she would trim or alter my new dress. For my three siblings and I, my mother would often create matching outfits and I always loved to watch those creations come to life. From those early years of watching my mum create beautiful clothes, a love and appreciation for fashion was born in me and as I grew older I would often spend hours designing my own outfits for special occasions like the races. When my own daughter was born I wanted to create clothing for her the way my mother had for me, and this ultimately led to the creation of Master and Miss. I love the creative freedom that comes with kids clothing. I’m never locked into a particular style, pattern or colour. Kids clothes can be as fun and colourful as you want them to be and with colour, there’s so many ways to bring new life to classic pieces. I take a lot of inspiration from the special moments and meaningful periods of my life. For instance, last year’s teacup dress was inspired by my daughter’s love of tea parties. This year’s fox theme takes inspiration from the seven years I lived in Ireland where foxes abound during the colder months. I naturally now associate the fox with winter and I like that a fox is gender neutral – it’s as cute for a boy as it is for a girl. 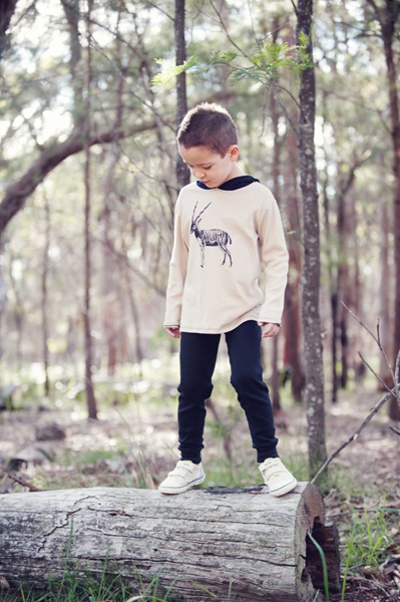 I have a deep connection with horses so they often appear in my range too, and I spend a lot of time at the Werribee Open Range Zoo so wild animals are never far from my mind – hence the antelope featured on the boy’s hoodie this year. Reflecting on the things that are meaningful to me serve as endless inspiration in keeping my creative juices flowing. Raising a family and running a household have meant my workspace has often been the kitchen table. It’s usually busy and messy! However that’s about to change as we are in the process of building a dedicated office and storage area which will be a huge help to me. I cannot wait to hang my storyboards around my workspace so I can look up and physically see the colours, styles and ideas that inspire me. My creative process begins by designing the style and feel of the garment. I then create the sample and tweak it until the fit is just right. Next I’ll work on the print or colour scheme for the fabric. This year I created a beautiful custom dyed fuchsia colour for girls, printed a dainty floral design, as well as created the infant’s fox pattern. There’s something incredibly satisfying about seeing an image that has been in my head come to life through the garment printing process. I think one of the biggest challenges for any small business owner is cash flow and this has certainly been an issue for me. I have to buy all my fabric upfront – design, print and create it – and then hope that someone will buy it! The gap in cash flow between purchasing all the fabric and selling the finished garments can be significant. And as I make around 200-250 pieces per style it’s a big risk. I’m really fortunate however that in a very short time I have been able to secure a number of regular stockists. Through these stockists I tend to sell at least half my range and this helps regulate my cash flow. While being my own boss certainly comes with its challenges an overwhelming plus is the freedom I have in creating a range that is 100% unique and individual. There’s something special in knowing that no one else will have my fabric print or style of garment, which means my customers are getting something that is truly a work of art! I want to continue to promote the value and joy we can experience in choosing to purchase items that are individually designed and created with love, care and environmental awareness. My ultimate goal is to be a well-known label that parent’s love and trust, that kids want to wear and that boutiques love stocking because they know people will return to buy it again and again. I have two overseas stockists and a number of stockists across Australia and hope to expand this further this year. My own database of customers is increasing everyday and the feedback that I receive is always encouraging and uplifting. Selling online can be a bit lonely so when someone takes the time to email you and say they love your range it’s a fantastic feeling.